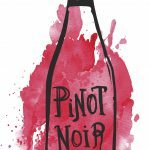 Well, it’s been seven years since Pinot Noir took to the big screen and Americans began their love affair with this very attractive, although elusive grape variety. The honeymoon has been over for a while now, so it is time we renew our vows with a wine that deserves our undivided attention. As the leaves start to turn, and there begins to be a slight chill in the air, I find the color of wine in my glass to change from white to pink to a beautiful translucent red, Pinot Noir. I feel there is no better time of year than Autumn to enjoy this light, but luscious red wine. A wine that begs to paired with all the fabulous flavors of Fall. Let’s take a little closer look at the personality of Pinot and try to predict that perfect pairing with my favorite fall fare. I’m gonna say it, sorry…terroir. Probably one of the most debated terms in oenology, but I believe it to be very true. What is it? Well, it’s the idea a wine, a grape can reflect flavors and even characteristics of the place, the soil that it has been growing, for what could be a very long time. For instance, if the soil is mostly limestone, you might find the wine to have a certain minerality and precision, but as one author put it, “when was the last time you licked limestone?” Sure, this can’t be a totally literal idea, but I find Pinot Noir to be a certain conduit that can connect a person with the place. This can’t be just any place, for Pinot Noir is very particular to where it grows up. Try to grow it in too hot of a place and it will ripen too early and never achieve the levels and layers of flavor that its’ thin skin can create. Of all the places on Earth, is the Burgundy region in France, where if all the conditions are right, Pinot Noir can reflect all the slight nuances of terroir. The only other places that have had any success in producing our fickle friend are New Zealand, Oregon, and the cool corners of California and Chile. So, what is so great about this grape that people find it worthy of emulating around the world? Pinot Noir has a duality that is pleasing to both white wine as well as red wine drinkers. The grape has thin skins with usually light, silky smooth tannins. Tannis are that drying feeling you get on the side of your tongue, not a bad thing, but could exhaust your palate, and we haven’t even got to the food, so we don’t need an exhausted palate! 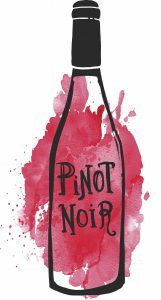 The profile of Pinot Noir is a usual suspect of pleasantries; red berries, red cherry, bright and light, and with the more mature Pinots hints of leather and tobacco. Put a little chill on the wine and it is a “cooler” version with a very bright and refreshing quality. The greatest thing about Pinot Noir is that it can cross the spectrum of food pairings and meet the needs for red as well as white wine dishes! Oh well, I can’t take it anymore! Let’s get to the food! Autumn has a cornucopia of flavors, fruits and spices that beg to be paired with Pinot Noir. As well as, a beautiful list of lighter meats that can be braised, smoked or roasted from pork to duck to turkey, Oh my! The wine calls for earthy flavors such as: truffles, wild mushrooms, coriander. Pinot Noir is very happy next to fruit flavors such as figs, blackberry, and pomegranates. Duck breast and duck leg confit is one of my favorite pairings for Pinot Noir. A wonderful balance of earthy flavors, as well as succulent flavors, that react wonderfully with the fruit and acidity to Pinot Noir. Depending on the producer and vintage, Pinot Noir can have layers and layers of flavor that can be enjoyed on their own or paired up with some of these classic fall eats. Please enjoy Pinot Noir this Fall season from any and all the places that hold this grape variety sacred in the process of production. Making this wine is a testament to the appreciation of soil, wine and tradition. So, before the weather makes it necessary for a sweater and some flames in the fireplace, remember to pull out that bottle of Pinot Noir and let it dance with every thing Fall. To leave you with one of my favorite quotes from Windows on the World Complete Wine Course by Kevin Zraly: “One Author trying to sum up the difference between Pinot Noir and Cabernet Sauvignon, said, ‘Pinot is James Joyce, while Cabernet is Dickens. Both sell well, but one is easier to understand.’” The only thing to understand here is the marriage of Fall flavors and Pinot Noir is an unbreakable one, one to stand the test of time. Cheers! About the Blogger: Ertan Seyyar Sener has been working in the world of wine for over ten years, in restaurants, retail as well as wine education. He has been recognized in Wine Spectator as well as in Ronn Wiegand’s Sommelier Guide to Restaurants in America 5th Edition. Ertan is the Buyer/Manager at West Side Wines and Spirits. 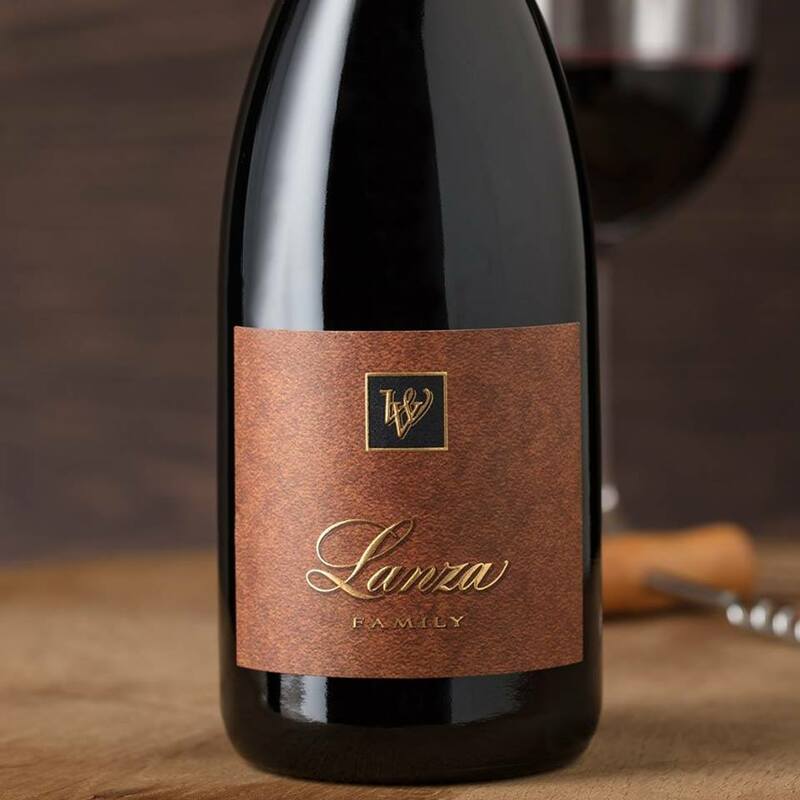 Check out Wooden Valley Winery’s (aka Lanza-Musto Vineyards) WINS at the 2018 SF Chronicle Wine Judging Competition. Over 7000 wines were entered from 36 states in this wine competition. 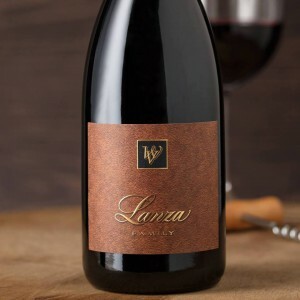 Congratulations to the Lanza Family and the Wooden Valley Crew on your much deserved awards!